Began in 1935, the Derby had grown to become the largest event on campus. 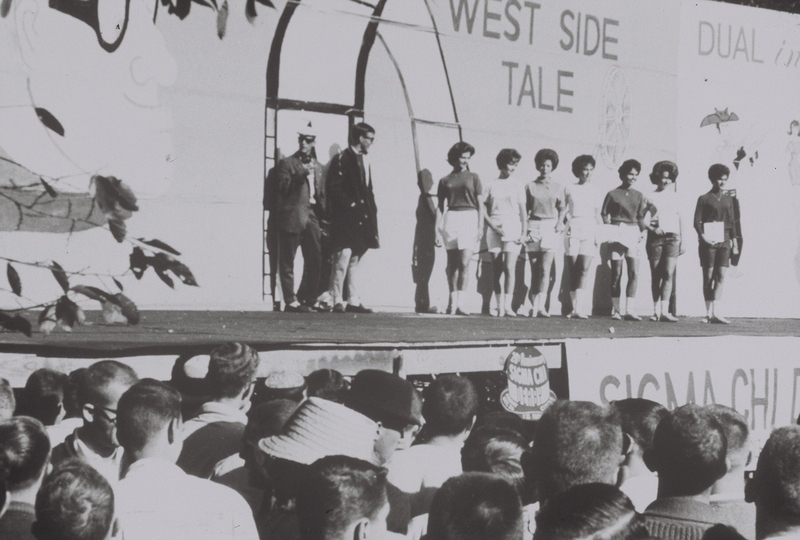 Skit during 1950s Derby. See more Derby photos in Photo Galleries. * Several Beta Sigma alumni members were active in the founding of the undergraduate chapter at Memphis State: Dr. Roland H. Myers, '35; W.W. Mitchell, '35 (who served as President of the Memphis Alumni Chapter); Robert H. Parish, '26; and Grand Praetor Frank N. Myers, '50.